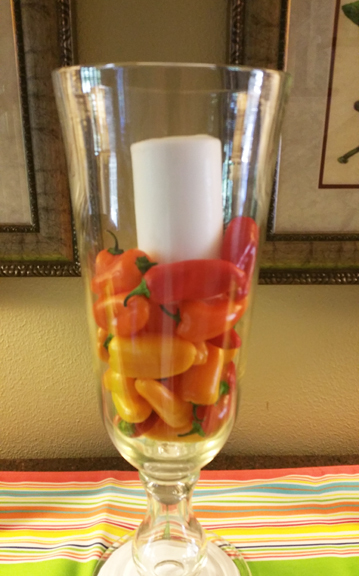 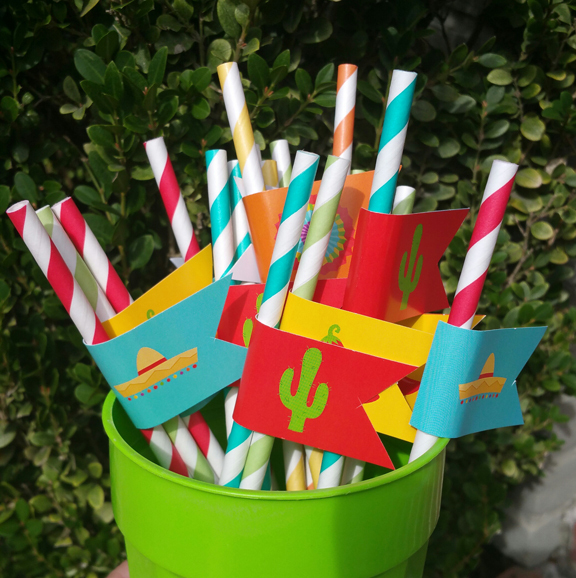 This entry was posted on January 6, 2018 by thatpartychick. 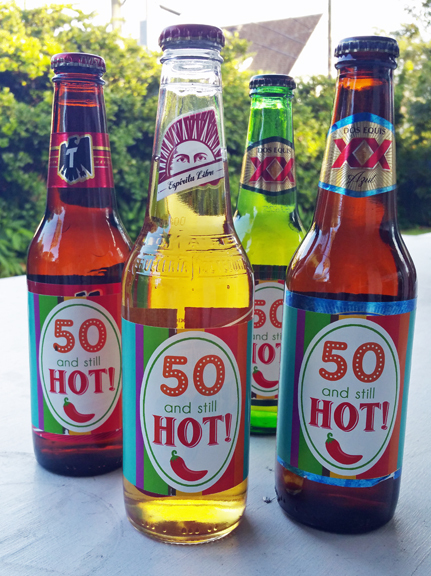 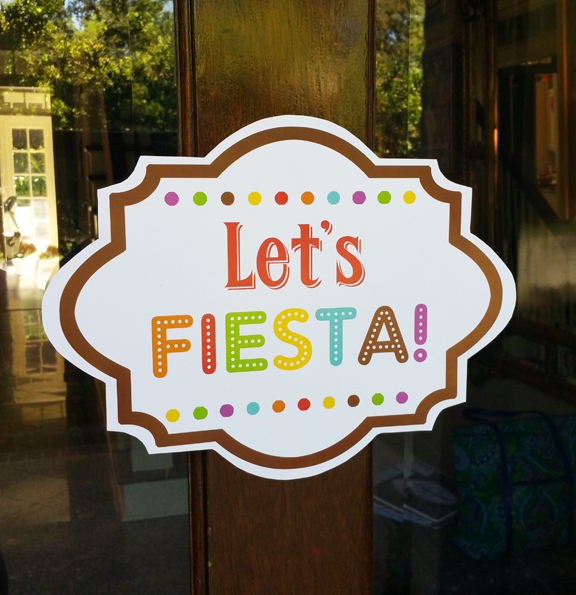 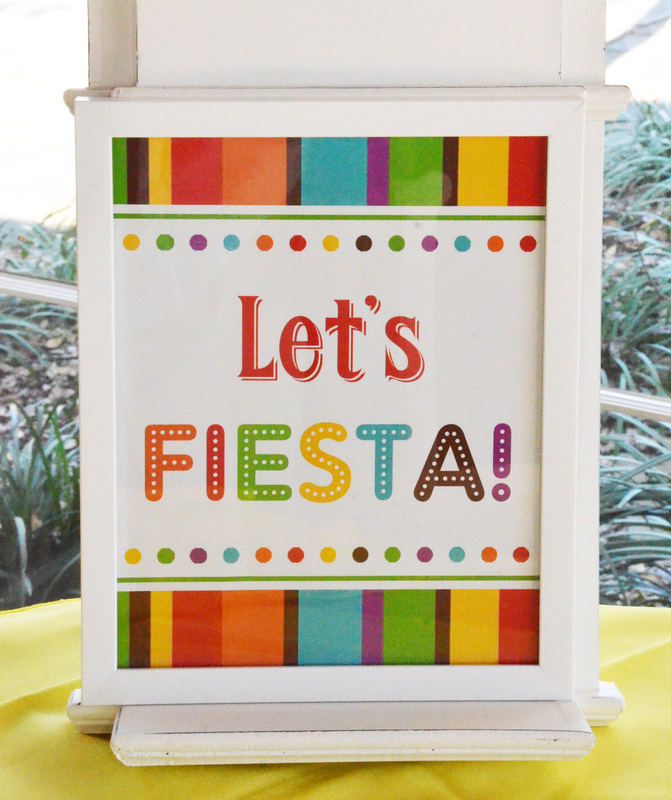 Let’s Fiesta! 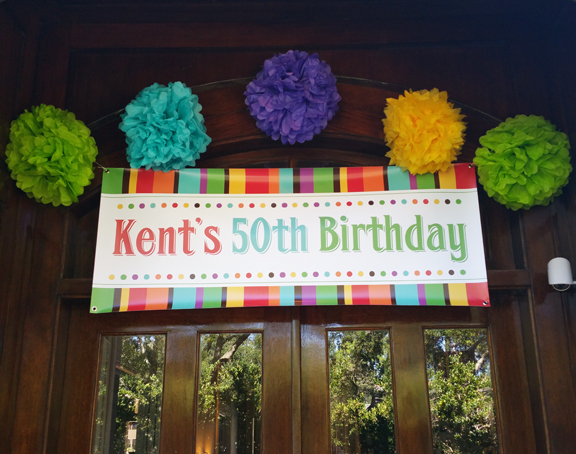 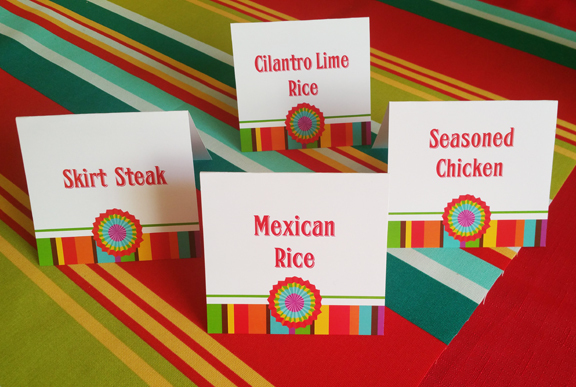 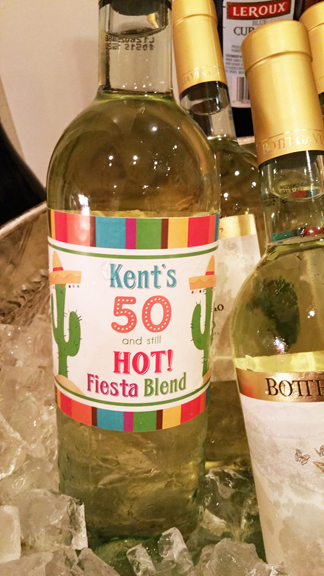 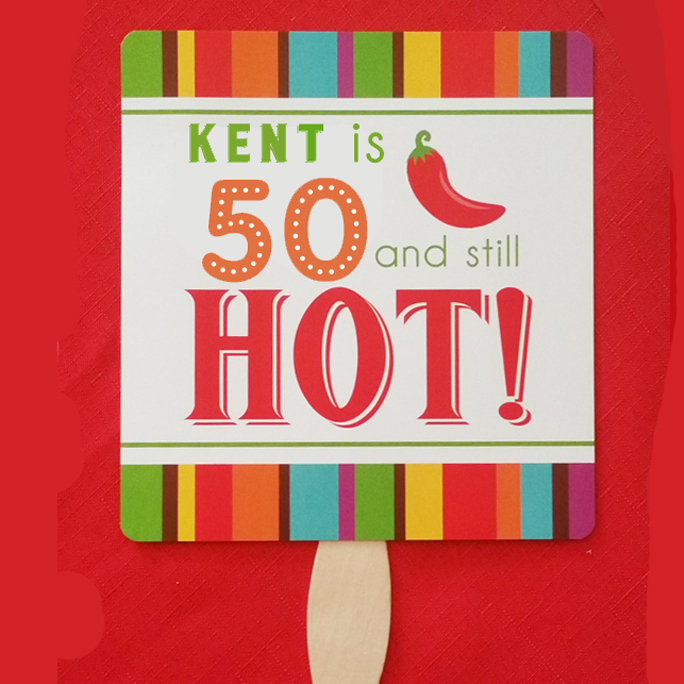 Friends arrived at the family home in anticipation for a fabulous Mexican themed birthday party in celebration of Kent’s milestone 50th birthday. 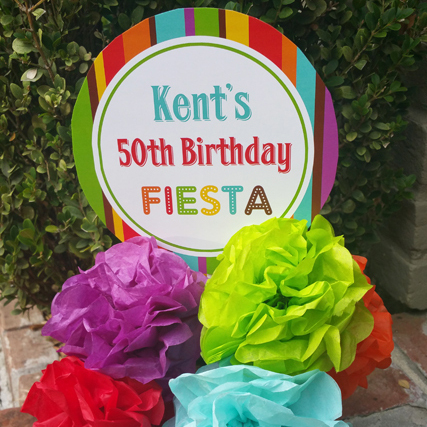 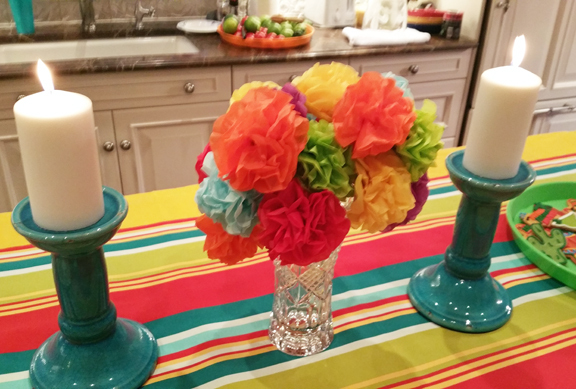 Brightly colored paper flower and signs welcomed guests! 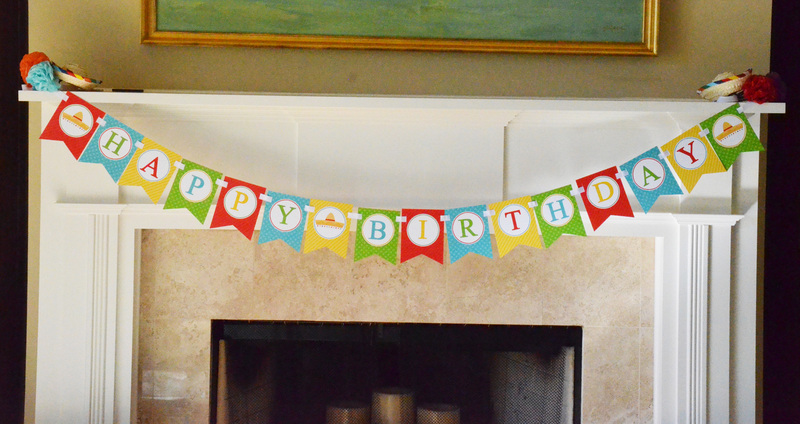 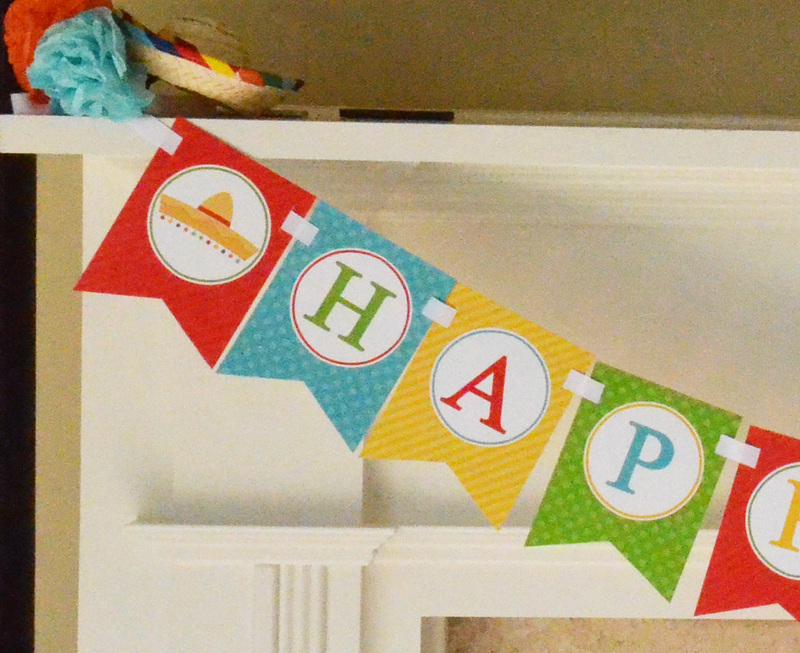 The festive party decorations included traditional sombreros and serapes. 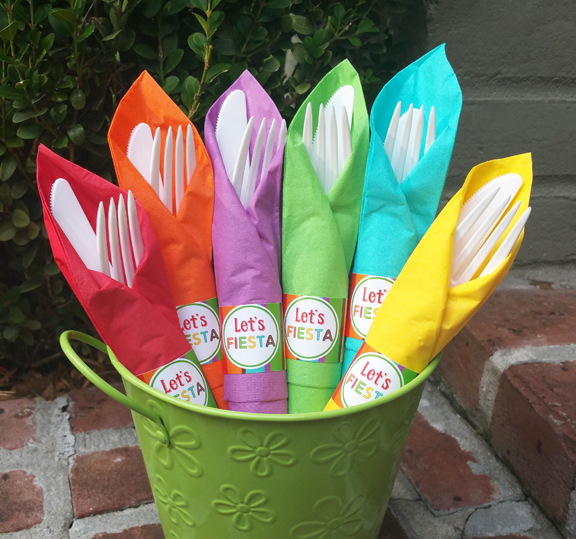 The buffet was ready with napkin and utensils. 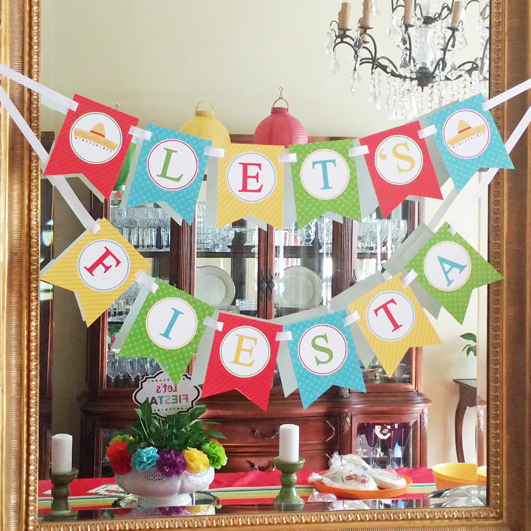 Banner, signs and chili peppers added festive decor. 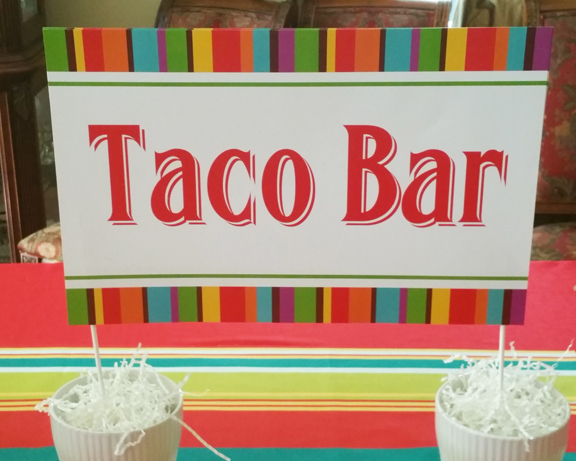 The delicious array of party foods included: Taco Bar, Homemade guacamole, salsa, chips, small flour tortillas, seasoned chicken from Izzo's, queso from Izzo's, skirt Steak from Costco (squirt lime juice on and grill), cheese, sour cream, lettuce, lime, Mexican rice, homemade slow cooked black beans. 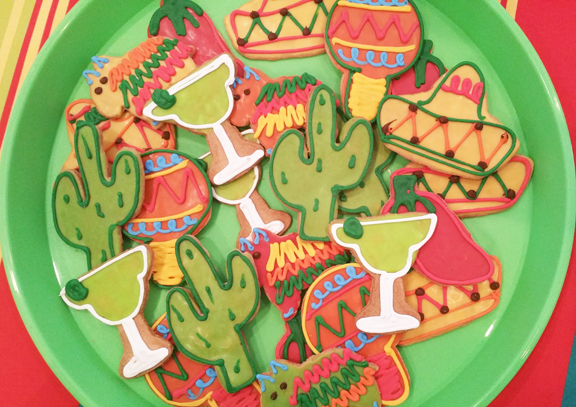 Cookies and birthday cake were desserts. 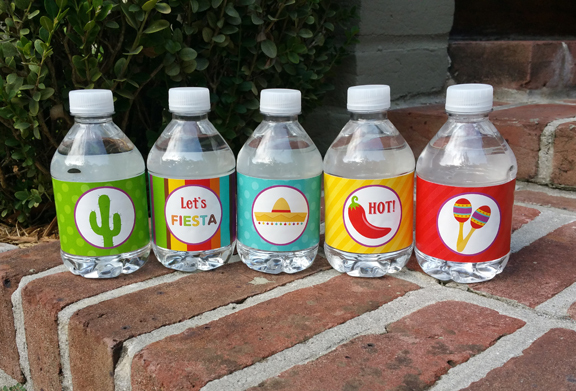 Drinks were margaritas, beer, wine and water. 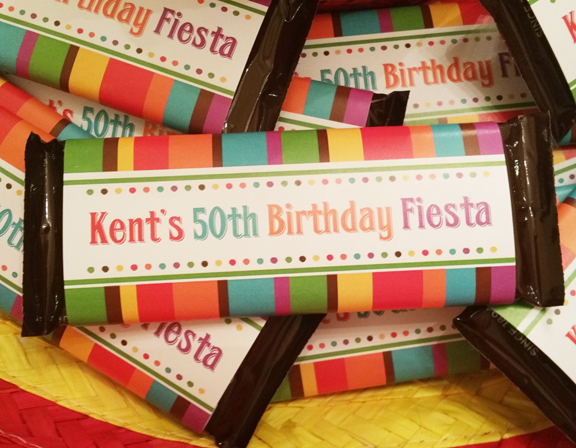 Party favors were candy bar with personalized wrapper. 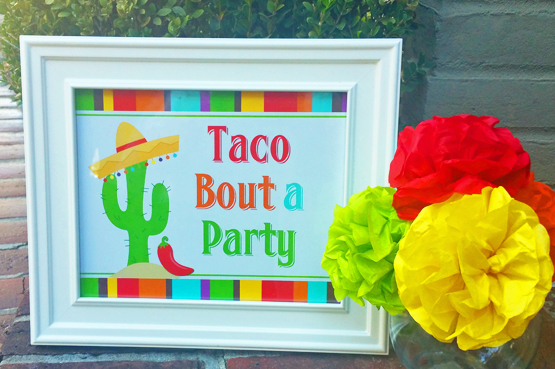 Click here to shop this party.